Preheat oven to 350 degrees. Crack eggs into a bowl and whip. 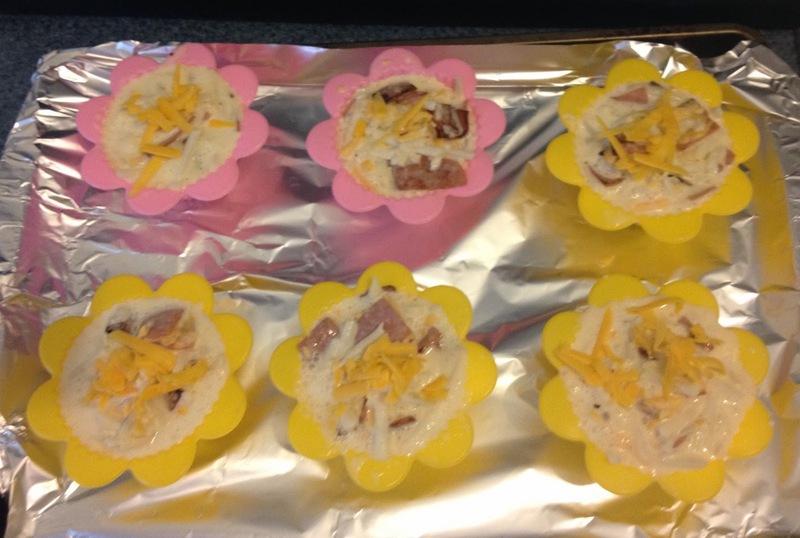 Cut ham slices into 1/2 inch squares and add to eggs. 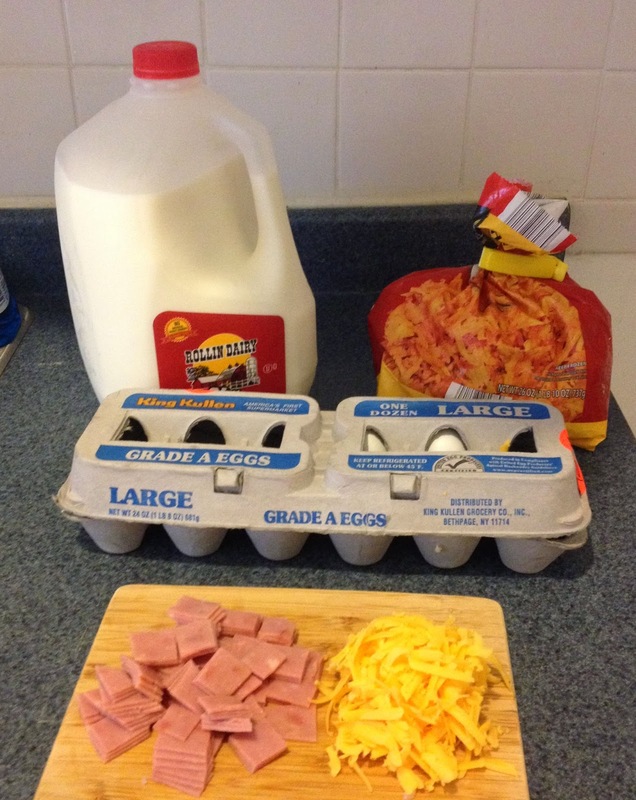 Add remaining ingredients into the bowl and mix until well combined. Spoon egg mixture into the cups until they are full to the top. Bake for about 30 minutes. Insert a knife in the middle of one to make sure eggs are fully set. If not pop it back into the oven for another 5 minutes and check again. What are your tips to getting your little one to eat eggs? Oh my! this looks so easy and delicious! I'm on my way over!! ;) haha! This looks delicious and I think my daughter's would LOVE it! What a fun idea and I bet I could get the kids to eat most anything with it looking so cute! These sound great! I pinned this recipe. Might have to try it soon! Boo will only eat eggs if there is ketchup available and watching her eat that makes me cringe. Are those silicon muffin cups? If so, where did you find them? Yes, they are silicon cups. I got mine at my local Joanns Fabrics and Crafts Store. They cost about $10 and I used a 40% off coupon they always have. I ended up paying about 6 bucks. These would be great for my husband since he eats breakfast in the car on his way to work. What is the temperature of the oven? 350? ....or is it up there in plain sight and I just keep overlooking it! Yes it is baked at 350. Thanks for bringing that to my attention. I fixed it above. It's so great that you posted this, because just yesterday I was surprised and thrilled when my son ate a mini quiche that my mom had cooked in a muffin tin. He doesn't usually like the texture of eggs...guess it's a toddler thing! Looks yummy! I want to know where to get those "cupcake" flower things you used? !